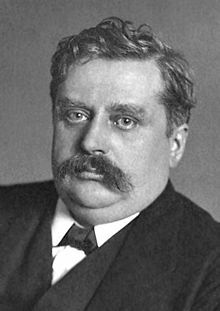 The father of modern biochemistry was the French-Swiss chemist Alfred Werner, in1893 he developed the theory of coordination compounds, today referred to as Chelates. For this turning point in reclassifying inorganic compounds he received the Nobel Prize in 1913. He went on to create accounting for the process by which metals bind to organic molecules, which is the basis for chelation chemistry. You can read more about Alfred Werner here. The first applications of Werner’s discovery were in the field of industrial production. In the 1920’s, many new materials such as paints were introduced and in their manufacturing the elimination of heavy metal contamination was crucial. Citric acid was found to be helpful, but in the mid 1930’s Germany was motivated to develop its own chelating material and not be dependent on importing citric acid. The synthetic substance they invented was (Ethylene-diamine-tetra-acetate). While creating it for their own use, the Germans manufactured so much and the product gained such a reputation that they began selling it on the global market for industrial use. Medical applications were not yet being considered for Ethylene-diamine-tetraacetic acetate, but with war approaching military workers were afraid of poison gas being used, and they searched for antidotes. Great Britain especially had experienced poison gas in World War I, and at Oxford University researchers invented their own chelating substance to diminish the effects of exposure to the poison gas. After World War II the new threat was atomic warfare and the USA began producing and stockpiling large quantities of Ethylene-diamine-tetraacetic acetate, which was recognized as more effective than the British chelation substance. While this manufacturing of Ethylene-diamine-tetraacetic acetate for protection against radioactive fallout was going on, no one paid attention to the first medical application in real life that had been carried out in 1947 by Dr. Charles Geschickter at the Georgetown University Medical Center. A patient undergoing chemotherapy had accumulated toxic nickel complexes in her system. In trying to save her, Dr. Geschickter thought of Ethylene-diamine-tetraacetic acetate as the only thing that could work and he successfully used it. This did not at the time however lead to widespread use. In the 1950’s it was tried with equal success for people with lead poisoning who were working in battery plants, the US Navy used it on people who had contracted lead poisoning from repainting the old ships. In both of these applications, not only did it eliminate the poisoning, but also the patients were relieved of arteriosclerosis, chest pains, arthritis, memory loss, inability to concentrate, etc. Hearing of these improvements, heart specialists at Wayne State University used Ethylene-diamine-tetraacetic acetate on a group of patients that were believed to have incurable conditions, even the most seriously ill of the group were restored to near normality. From the 1950’s on, many doctors continued to utilize chelation therapy in a wide variety of medical applications with great success. Published articles regarding successful treatment of arteriosclerosis with Chelation began appearing in medical journals in 1955, and many more since then. In 1973, the American Academy of Medical Preventics was formed to educate physician and promote the utilization of chelation therapy in the treatment of cardiovascular disease. This organization was renamed the American Academy of the Advancement of Medicine in 1986. In 1983, the formation of the American Board of Chelation Therapy was formed to set parameters for the education and testing of physicians for competence in the administration of chelation. Chelation, while absolutely legal are limited in advertising claims for the treatment of lead poisoning, hypercalcaemia and ventricular fibrillation secondary to digitalis toxicity. The FDA has not approved claims for conditions other than these. Dr. Ray Evers in 1978 won a precedent case regarding a physician’s legal use of a drug approved by the FDA for a specific condition, may be used for another condition for which it has not been approved. Many arguments exist over why it cannot be approved for these conditions however at the forefront is little monetary gain and a huge threat to the multi billion dollar heart bypass industry, lets face it, its always money at the root of anything isn’t it? Many non-alternative doctors have since enjoyed and employed the benefits of this ruling in the distribution of their prescription drugs. The American Medical Association, while not yet endorsing chelation therapy for arteriosclerosis, does approve its use in the treatment of lead and other heavy metal poisoning. It is most unfortunate that the patent expired in 1969, resulting in the loss of interest in research by major drug companies. People who use chelation therapy are generally those who already have heart disease or wish to implement preventative measures, maybe there is a family history of heart disease or for heavy metal poisoning, for which it is approved. Many of the bypass operations performed today are totally unnecessary as a decade of scientific study has shown, except of course in certain well defined situations bypass surgery does not save lives or even prevent heart attacks. Among patients who suffer from coronary artery disease those who are treated without surgery enjoy the same survival rates as those who undergo open-heart surgery. MD Magazine, Feb. 1995. Many diabetics and macular degeneration patients believe that by using chelation it helps increase their peripheral circulation. Chelation is also frequently used and found beneficial in the treatment of Osteoarthritis, Chronic Fatigue Syndrome, Fibromyalgia, Organic poisoning, and Heavy metal reduction. There are very few medical procedures that can report, as can chelation, no fatalities. Every year, in contrast, prescribed drugs, hospital accidents and mistakes result in many deaths. By now, modern medicine has the benefit of a long history of chelation in many application and those who specialize in it are sure of what it can do and the very best ways of using it. Following the guidelines of the American College of Advancement of Medicine (ACAM), estimates are at least 500,000 patients have received over 10,000,000 chelation treatments without a single fatality attributed to it. This cannot be said about surgical procedures or even taking Aspirin.